One person is being checked out for potentially serious injuries after a hotel fire in south Wichita. A fire at the Best Western, at 47th South and Emporia, was reported around 7:40 Sunday morning. As crews arrived one person jumped from the burning room and was taken to a hospital. Fire was located in one room and was quickly put out. 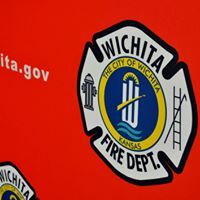 The Wichita Fire Department says it appears this fire was intentionally set, and that the hotel room’s fire sprinkler was tampered with. As of Monday morning, there is no update on the condition of the person who jumped from the room.